Loading dock repair, service, parts, installation and maintenance. 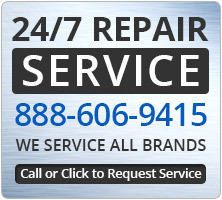 Providing 24 hour repair service and replacement for all brands of dock levelers, dock lifts, overhead doors, roll up doors, sectional doors, high speed doors, fire doors, storefront doors, man doors, traffic doors, vertical lifts, vertical reciprocating conveyors (VRC), freight lifts, material lifts, grilles, scissor lifts, industrial fans, balers, shredders, compactors and more. We also will advise you on whether service or replacement is the most economical choice to help you make the best long term, total cost of ownership decision. Contact us for all of your loading dock repair and service needs throughout California and Nevada. 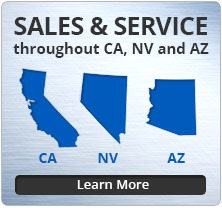 Our service is available throughout California, Nevada and Arizona. This includes Los Angeles County, Orange County, Riverside County, San Bernardino County, the Inland Empire, San Diego, Santa Barbara, Sacramento area, Central California and the Bay Area (San Francisco / Oakland). We also have self-performing service in the greater Las Vegas and Reno regions of Nevada and in the cities of Phoenix and Tucson in Arizona. The highest possible first call fix rate is our goal as you can’t afford to have your equipment down longer than necessary. Emergency and repair service for loading dock, commercial door, and warehouse equipment. 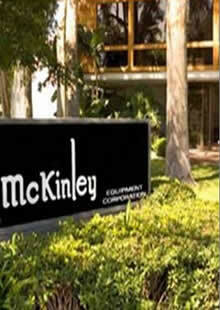 Repair and replacement technicians 24 hours a day, 365 days a year. Planned Maintenance for loading dock equipment such as dock levelers, overhead doors and any other material handling equipment. No commitment maintenance plans. We have a large inventory of loading dock and door parts and aftermarket product that we can install or ship to you fast.